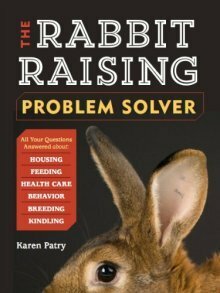 We are raising rabbits for meat. We have 1 buck and 4 doe New Zealand rabbits. They came of age in January to breed (8 months) but we waited until spring because of the low temperatures. I wanted to give a big thanks to you for this wonderful website. We bred 2 the same day and the other 2 a few days later. The last litter was just delivered and we now have 33 kits! Wow! We will keep 6 females for future breeding purposes. Of the first set that delivered, one mother has 5 kits and the other has 10. The five are fat little things! The 10 are growing, but are not so large (not surprisingly). Should I leave them where they are, or would you suggest fostering them. They are almost a week old. Again thank you so much for this wonderful website!!! It has been such a reassurance to us and has provided priceless information! Garsh, thanks for the kind words! You can leave well enough alone, if you think the littlest kit in the large litter is not scrawny per se. On the other hand, nothing says you can't even up the litters just a little bit. The doe with 5 can easily take a couple more. Do the fostering during the day so the kits can take on the smell of their new litter before nightfall when the doe will likely feed them. At the same time, if the size discrepancy is significant, you have the option to remove the fattest of the five original kits and keep them in a nest away from the nest box for the first night. This is in order to give the new foster kits a better shot at the milk bar. The big fatso kits will be no worse for wear for missing a single feeding. Hope this helps, and congrats on your meat rabbit enterprise!